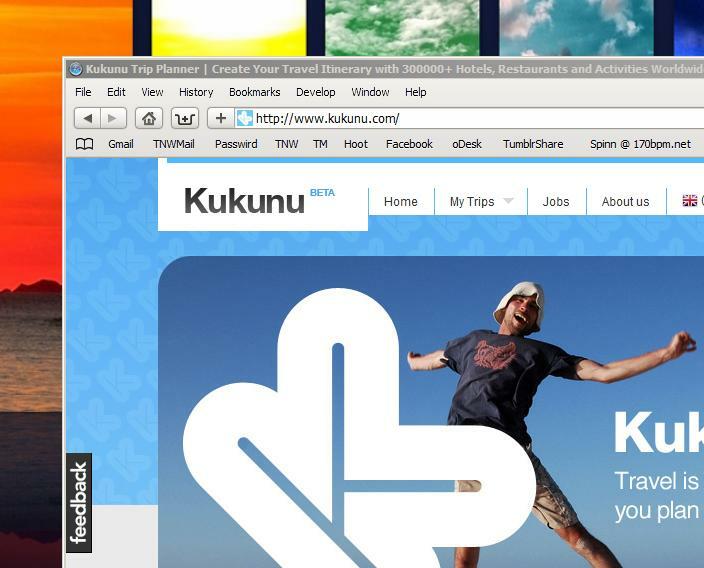 Kukunu takes a social approach to travel planning. In case you can’t tell by my jumping on every travel-related article we post, I’m a big fan of seeing new places. Admittedly, I’m not at all a fan of planning to see new places. Kukunu is a new social-based travel planning site that is looking to change the minds of people like me. Pretty cool ideas, I have to say. Instead of having endless notes piling up, Kukunu gives you a collaborative area where you and your travel partner(s) can pick hotels, suggest attractions and share ideas. Of course, there are other sites out there that let you collaborate remotely. However, to this point we’ve not yet seen one that focuses onto a single subject, and that’s where Kukunu really excels. A drag and drop calendar interface keeps things really clean, while making it incredibly easy to highlight times and dates. Of course what would a social travel site be about if you couldn’t share your ideas? Facebook and Twitter sharing are built into Kukunu from the ground up, so you’ll be able to toss out ideas, get feedback and change your travel plans accordingly. I have to tell you, after playing with Kukunu for a bit, I’m pretty sure I’ve found how I want to book my next trip. There’s one place in particular that I’ve been wanting to go, and Kukunu might very well be the best way to do that, as my fiance and I will be traveling together. However, planning is only part of the deal, and once you’ve got a plan you have to purchase it. Kukunu helps there, as well. Partnering with the top travel sites, Kukunu is looking to give you great choices and availability, hopefully at a reasonable price. Kukunu just launched today (or, more precisely , a few minutes ago) and you should certainly give it a look.